It is Tuesday, the third day of Eid, the Eid of the Sacrifice. 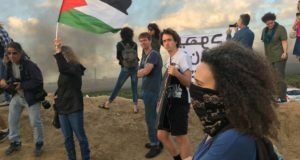 We, the Beit Hanoun Local Initiative and the International Solidarity Movement, have gathered near the bombed remains of the Beit Hanoun Agricultural College like we do every Tuesday in preparation for our march into the no go zone. This Tuesday is different though, we are not gathered on the road that leads into the no go zone, but behind the bombed buildings of the College. Like much of Palestine, history is densely packed, every place has a story, today, we would learn the story of this small area. Today marks the five year anniversary of the Beit Hanoun massacre. Before us, lie the graves of its victims. On November 8, 2006 at six in the morning the Israeli army began shelling Beit Hanoun. The shells landed on the houses of the A’athamnah and the Kafarnah families. Not just one shell, the shelling continued for fifteen minutes. Round after round fell on their houses. Nineteen people were killed, nine children, four women and six men. The youngest was only a baby of a couple of months, the oldest a 73 year old woman. Forty more people were injured. They were all civilians, not even the Israeli army bothers to claim that they were armed; they were sleeping in their beds. The graves are just off the road, just behind the Agricultural College. They are large; each of them contains several bodies, large gray slabs of concrete with names and prayers inscribed on them. Abu Issa, from the Beit Hanoun Local Initiative speaks; he prays for the dead and asks us to remember the past. This massacre is barely the past though; it is almost the present, even if forgotten in so much of the world. His words end, as they must, on the present, “we did not ask for the occupation, we have always lived here, it came to us, but we cannot accept it, we must continue the struggle until the occupation ends.” We hang a wreath next to the first grave. 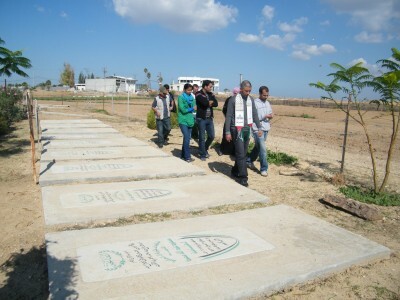 We walk slowly down the row of graves; Abu Issa reads us the names of the dead. We reach the grave of Maisa, age six. I cannot help but look away, for I have my own Maisa, who was also six in 2006. She isn’t my daughter, she is my English student. He name is Maisa Samouni. 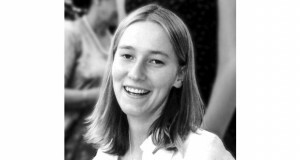 Twenty nine members of her extended family were murdered in much the same way by the Israeli army, herded into a house by soldiers, and then the house was shelled by the IDF. I wonder what this Miaisa would look like today, would she be as smart and kind and beautiful as my Maisa? As we reach the end of the graves we come to the graves that have been destroyed, destroyed by Israeli bulldozers in subsequent invasions of Gaza. We turn away from the graves and look toward the border. At the concrete towers which line it, full of snipers and computer controlled guns which kill at will. Abu Issa begins to tell us about the area that we see in front of us. It was here that the men of Beit Hanoun were imprisoned during the first week of November 2006. Israeli forces had invaded Beit Hanoun; all males between the ages of 14 and 60 were rounded up and brought here. 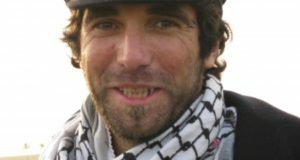 For six days the slept in the open, in the cold, while the Israeli army took them for questioning. Fifty three people were killed and over 200 injured during the invasion. The day after Israeli forces withdrew; they fired the shells which would kill nineteen more, including Maisa. After the memorial service we piled into the van and went to the east of Beit Hanoun to visit the Al Jareema family. 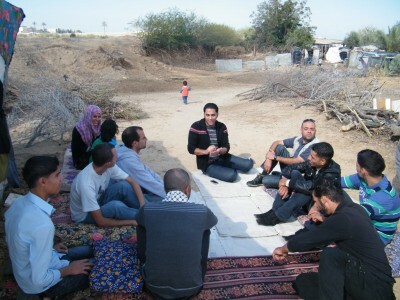 The Al Jareema’s are Bedouin family that lives right next to the no go zone. They have not always lived there, the used to live in 1948, but they were expelled by the Zionists during the Nakba, them and 750,000 other Palestinians. They settled in Gaza. They lived right next to the border, their houses used to be 50 meters from the border. Then, the Israeli’s decided to impose the buffer zone on Gaza, the family received a notice that they must move. There was no appeal. Israeli bulldozers came and destroyed their houses. They destroyed the pens for the animals. They destroyed the groves of trees that used to thrive in the no go zone. Now, the family lives in a collection of tents and shacks about 500 meters from the border. As you look toward the border you see a particularly large gray tower, it is from this tower that the Israeli army shoots at them. They have nowhere to go, so they stay living here, surviving as best they can on the land that Israel has not seized. We bring them sweets to celebrate Eid, they serve us tea and freshly made bread. They ask us to stay for lunch, but we must go, there is a wedding going on in Beit Hanoun. Life continues. I pray that the children of the new couple grow up in a more just world, in a free Palestine. This is what we struggle for.